Square Root designed this beautiful purple and silver reception decor for an Indian wedding at the Huntington Beach Hyatt. 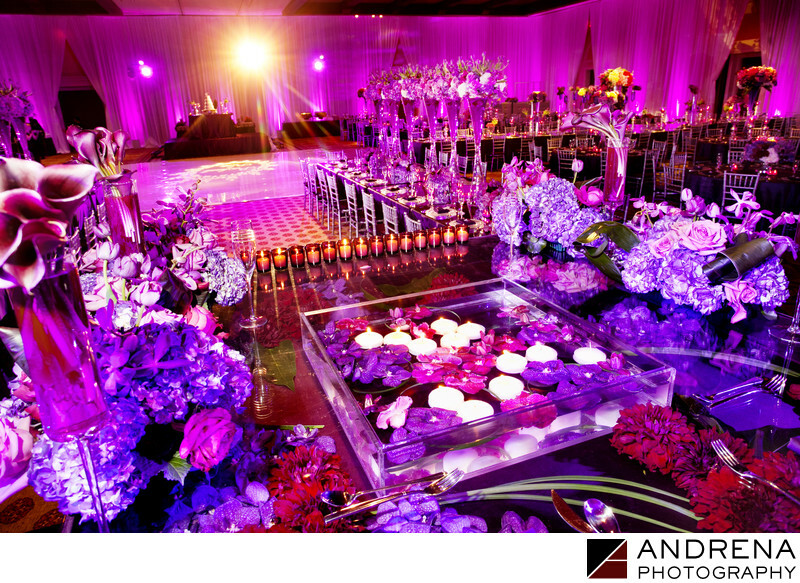 Coordinated by Ajita Chopra Events, this wedding dazzled the guests, with tall vases filled with purple-colored water creating a stunning central focus point for those in attendance. This wedding was published in Ceremony Magazine.